Our show on Wednesday was packed with calls – in fact, we may have reached a record! One of our callers, Tony from Dallas, called to ask about Marian apologetics. Some of his non-Catholic friends have questions about Our Lady. No doubt, just about every Catholic has been called on at least once to explain (or defend might be a better term, depending on the attitude of the questioner) Catholic devotion to Mary. Sr.Grace Marie mentioned Dr. Scott Hahn’s work on the Ark of the Covenant as a prefigurement of Mary, the Ark of the New Covenant. More info on that can be found here at the St. Paul Center for Biblical Theology (this website is also a superb resource for many other subjects). This topic, along with many others, is also covered in a book by Dr. Hahn called Hail, Holy Queen. This is also a great time to mention EWTN’s resource library, where you can find lots of helpful information on just about every aspect of the Church’s teaching. Go here to see their section on Our Lady. There are many great resources online for apologetics – Catholic Answers and Taylor Marshall’s blog being just two that come to mind. And of course, don’t forget a basic resource, which we sometimes overlook: The Catechism of the Catholic Church. There may be a tendency among Catholics to assume it’s just a dry, boring read, but the Catechism is packed with beauty because it’s packed with Truth – and if they’re authentic, the two are always found together. If you don’t have your own copy you need to get one, but you can also read it all online at the Vatican’s website here. Apologetics can be intimidating for many of us, but try not to look at it as a debate or a battle you must win. 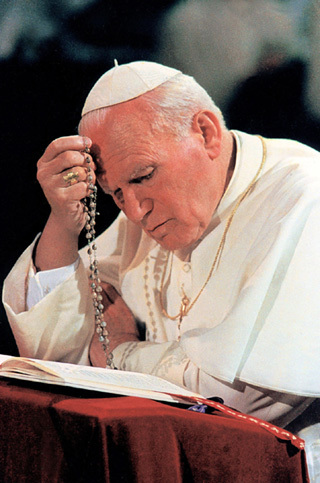 Try falling more in love with our Catholic faith, you’ll naturally want to learn more, read more. Think about it this way: when you love someone, you naturally want to learn more about them; without even thinking about it you tend to talk about them. Encourage your love of Christ’s Church and immerse yourself in the beauty of Truth. Then apologetics may become much less about convincing the “enemy” and much more about speaking the Truth in love. 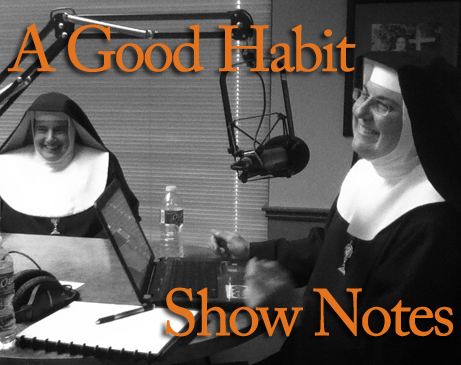 This entry was posted in A Good Habit and tagged A Good Habit, apologetics resources, Guadalupe Radio Network, Mary, radio, Scott Hahn by texasnuns. Bookmark the permalink.